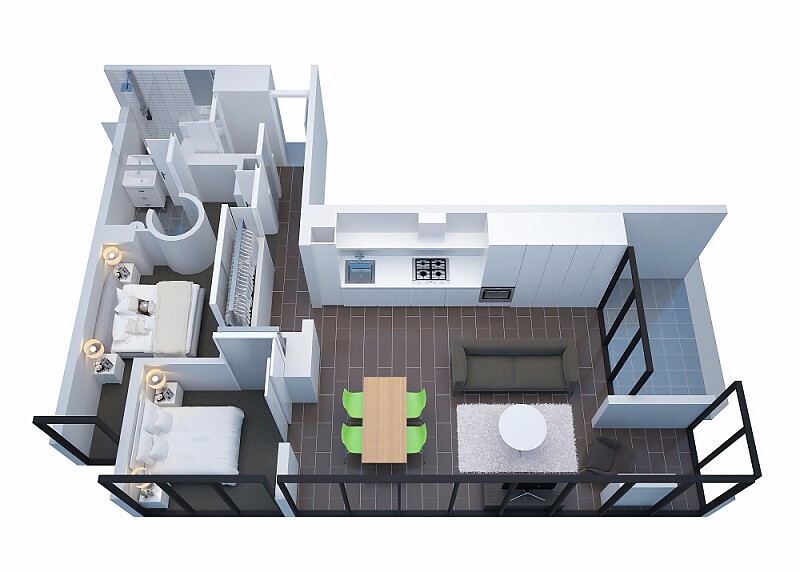 Our spacious Studio Apartments are fully self-contained and feature an open planned design with a spacious lounge area with kitchenette and balcony with outdoor setting overlooking the residential and commercial areas of The Entrance. 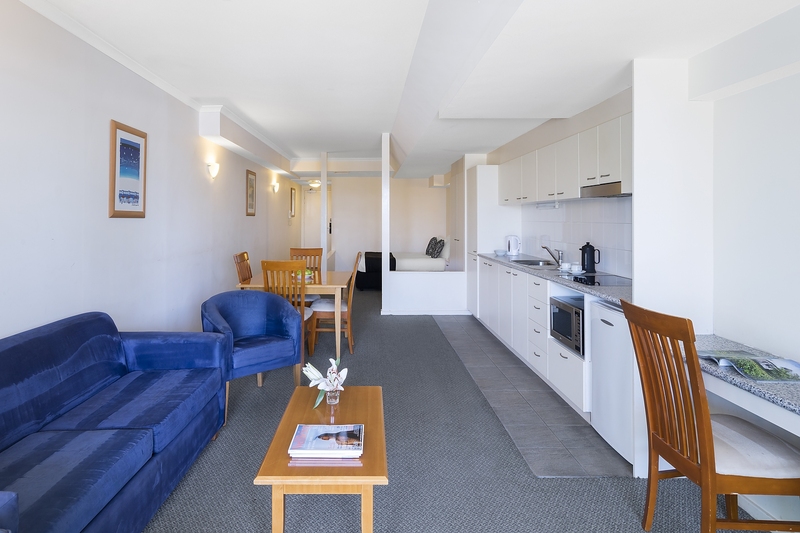 This apartment is approximately 50sqm and is complete with a queen size bed and a double pull out sofa bed in the open planned lounge room with dining setting, kitchenette with full sized fridge & freezer, stove top and microwave, separate bathroom with shower over bath and laundry facilities including a washing machine and dryer, individually controlled air-conditioning, WiFi access and LCD televisions with selected Foxtel channels. 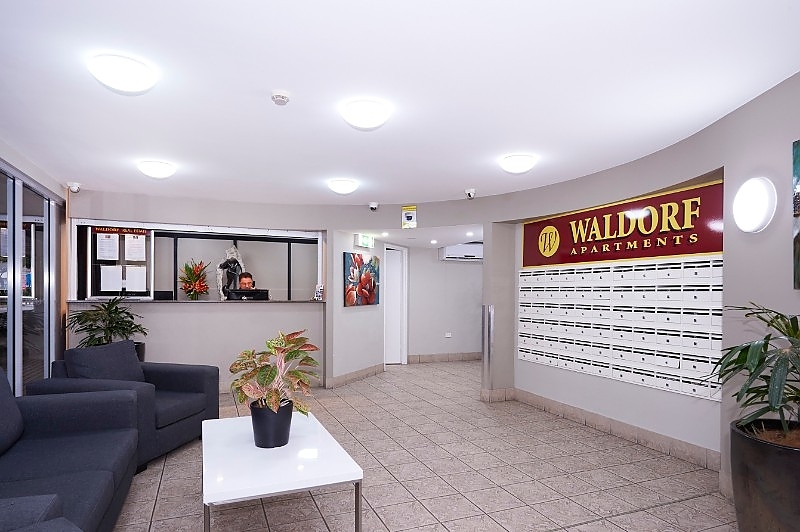 Reception is open 7:00am to 5:00pm weekdays, and 7:00am to 7:00pm Friday & Saturdays. 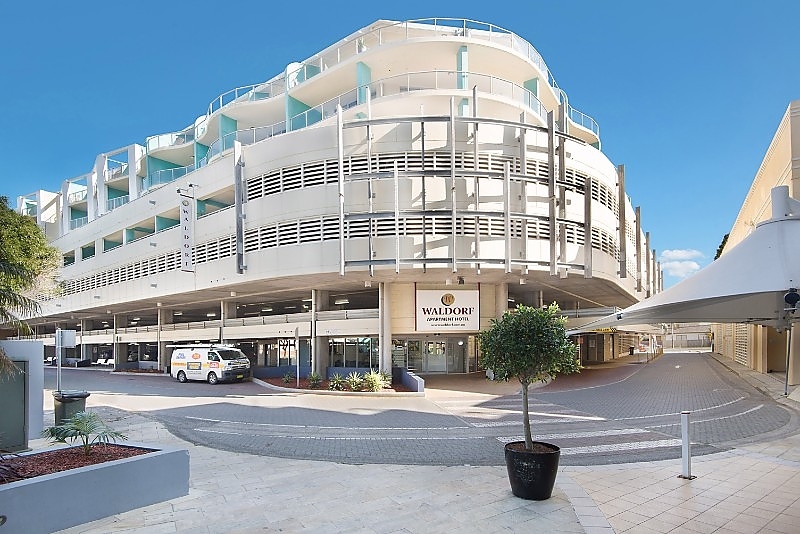 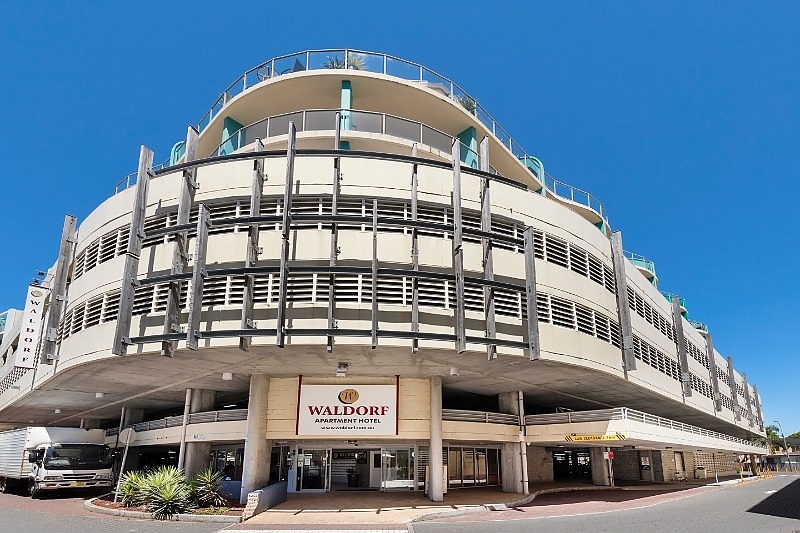 Waldorf The Entrance Serviced Apartments offers a range of fully self-contained apartments consisting of Studio, One Bedroom and Two Bedroom Apartments perfect for either short or long term accommodation stays. 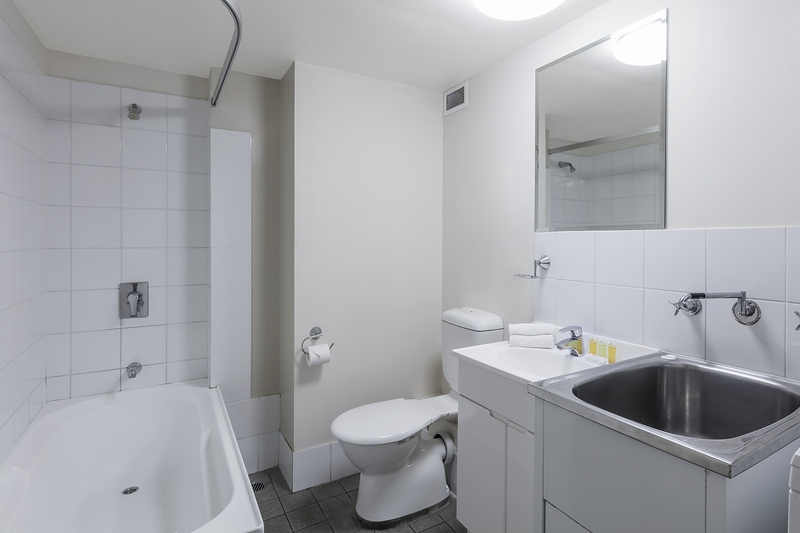 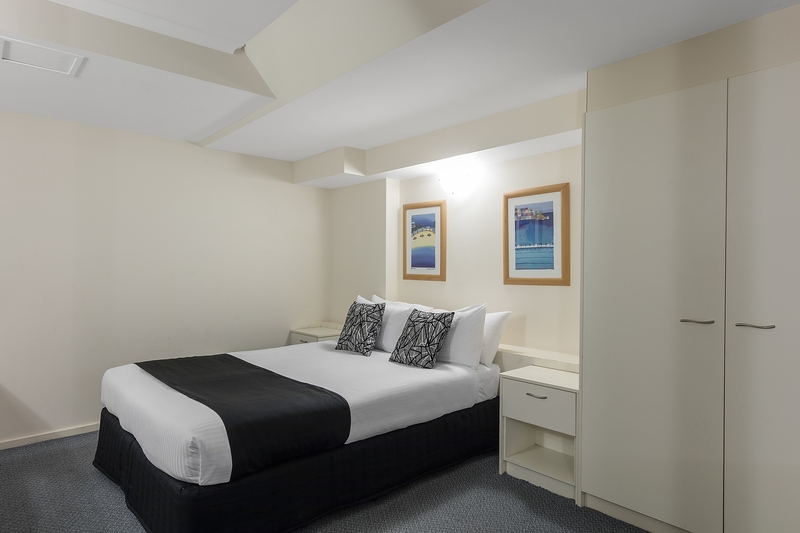 Our Studio and One Bedroom Apartments are the perfect alternative to a hotel room and have kitchenette and laundry facilities. 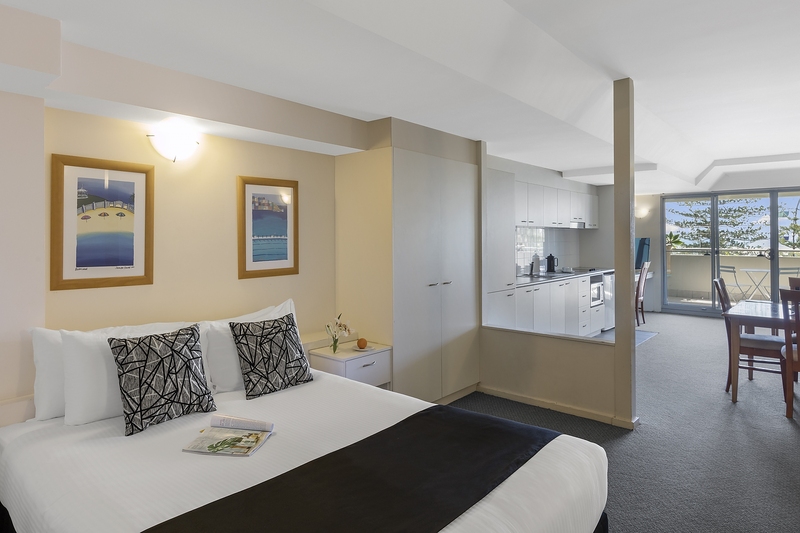 The range of Two Bedroom Apartments are ideal for guests wanting more space, families, colleagues or larger groups looking for a home away from home experience also with fully equipped kitchenettes and laundry facilities, flexible bedding arrangements and spacious living areas. 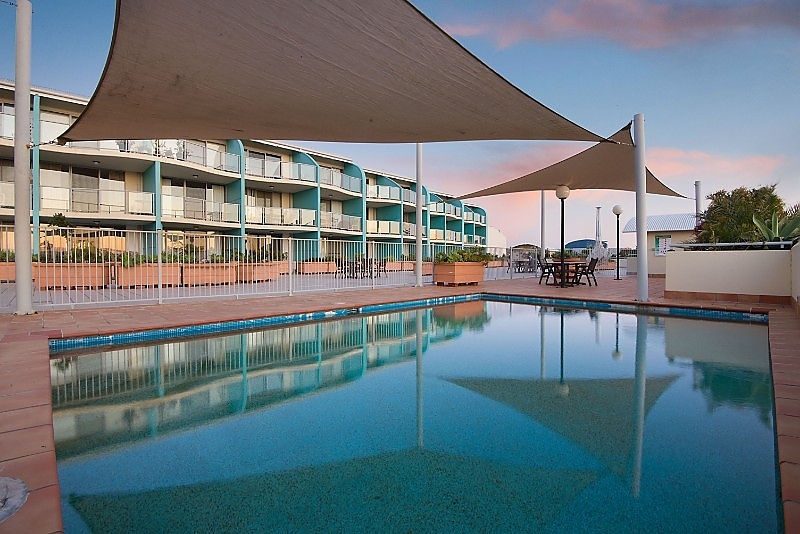 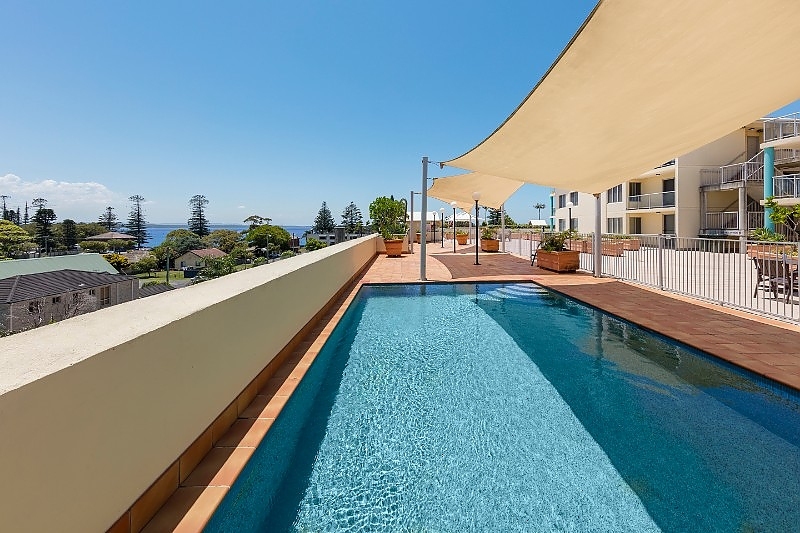 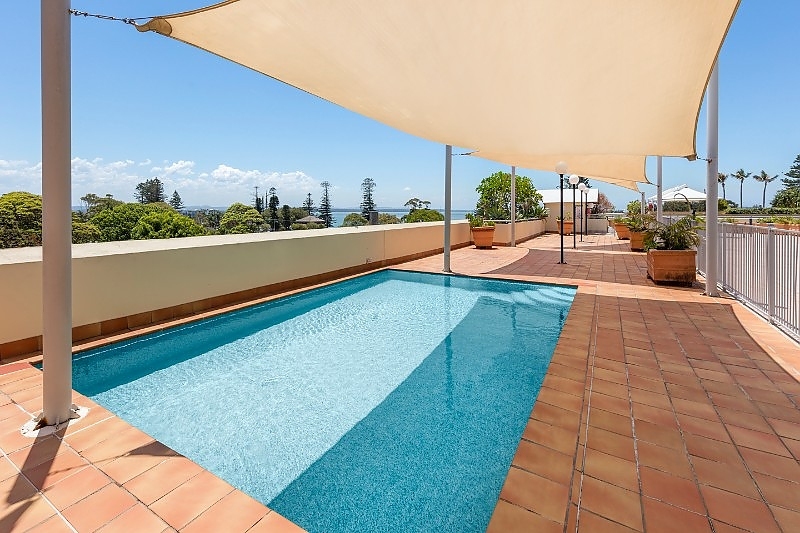 Most of our apartments feature a balcony with outdoor setting complete with views overlooking the foreshore and esplanade of The Entrance whereas others have either a balcony or terrace area with outdoor setting and complete with views overlooking the pool and deck area towards Tuggerah Lake. 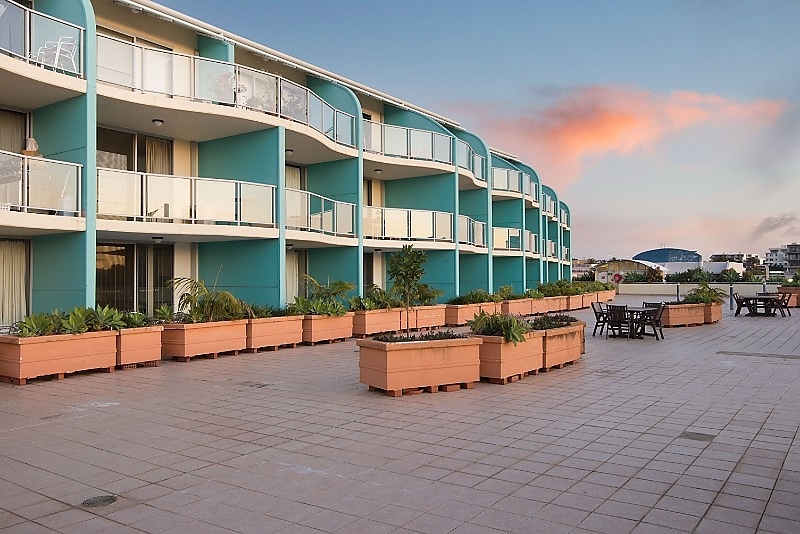 We also offer exclusive recreation facilities pool terrace area, an outdoor saltwater splash pool, secure undercover parking and high speed WiFi access throughout the whole property. 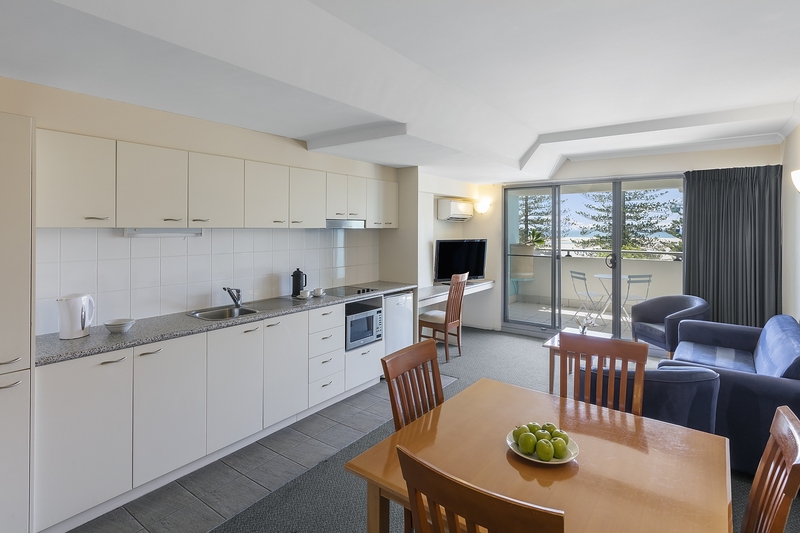 Our serviced apartments are perfectly suitable for both long stay and short term accommodation for the business or leisure traveller. 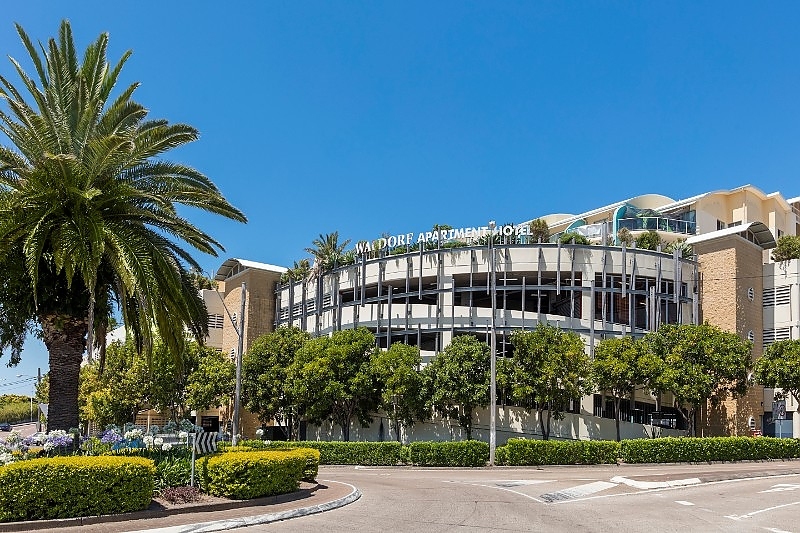 Reception hours: Other Reception is open 7:00am to 5:00pm weekdays, and 7:00am to 7:00pm Friday & Saturdays.